Vikram Prabhu is also donning the lead role in the film Wagah. The shooting of the film is going on in rapid pace. After completing these films, Vikram Prabhu will be donning the lead role in a film which is to be directed by Naveen Raghavan. He had earlier directed the film Manja Pai. ‘Manjapai’ which failed to create an impact on critics collected decent figures at box-office. Selection for the heroine is going on. It is understood that Ilayaraja will be composing the music for the film. Ilayaraja’s 1000th film Thara Thappattai is to be released soon. Rest of the cast and technicians are unknown at this instant. 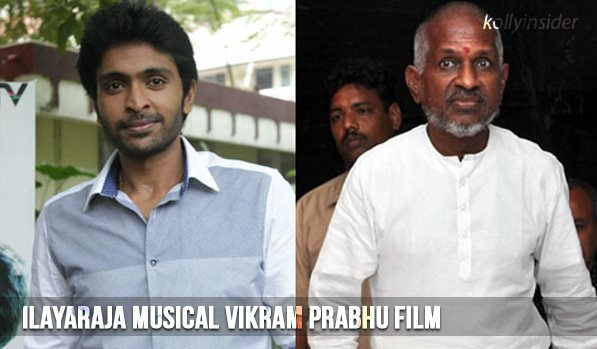 Vikram Prabhu is likely to start this project after completing ‘Wagah’.